There are times when you should with hold mulching. But…do you find you are always watering your vegie patch or garden beds because the soil dries and goes crisp? 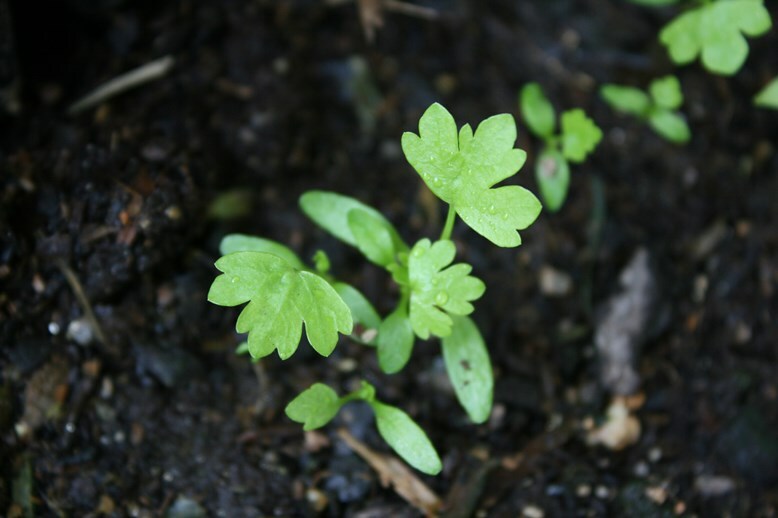 Do your vegies fail to thrive as seedlings? And is your soil splashing away with heavy rain or watering? Most mulches consist of dead plant material and often bark, but you can grow your own plants to use as mulches to use as soon as you pick the leaves. Comfrey is a good example as are chopped lemon grass and arrowroot leaves and even rhubarb leaves. Rhubarb has the advantage of protecting young seedlings from slugs and snails. Mulches help to keep the soil moist and uniformly temperate, protecting your soil from exposure to drying sun and wind. 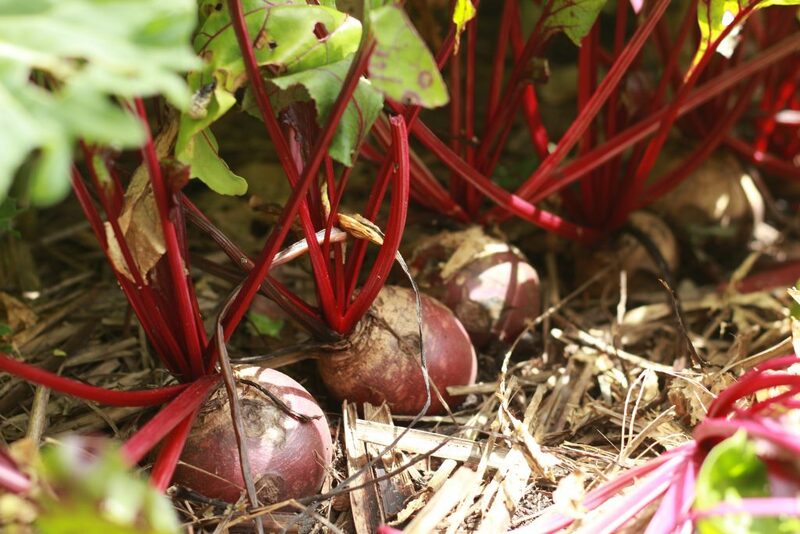 Most vegies are thirsty little things and when soils become dry, the plant suffers as a consequence, becoming more susceptible to insect and disease attack. Mulching also means less water use and reduces plant stress. This is particularly important in hot weather where soil temperatures can potentially burn young roots. If you want rich, fertile soil then add mulch. Mulches add a rich organic layer of humus to the soil. The quicker they break down, the quicker that humus layer is built. Humus is so important in soils to hold water and nutrients, and support beneficial microbes essential for plant growth and health. 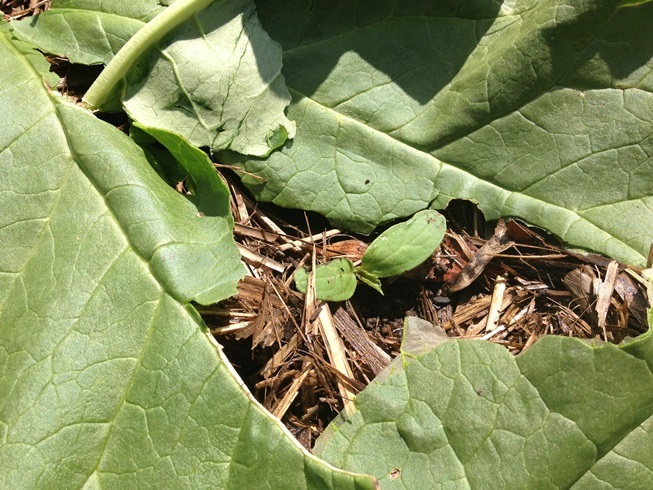 As it breaks break down, mulch provides nutrients for plant growth and soil life. The key elements nitrogen, phosphorous and potassium are released, but in many cases, micronutrients too, depending upon the type of mulch you use. For example, a mulch of seaweed adds a boost of potash to your soil whereas comfrey mulch adds silica, calcium, potassium, iron and nitrogen. Mulch also feeds micro-organisms and other soil biota essential to healthy plant growth and disease suppression. Mulches encourage worms and we all want to see lots of worms in our vegie patches! Worms will slowly consume mulch and take the goodies deep into the soil, leaving behind worm castings and contributing to aeration which leaves less digging work for you. Finally, and most visible to the gardener, is the suppression of weeds achieved when you mulch. What mulch is best for your garden? 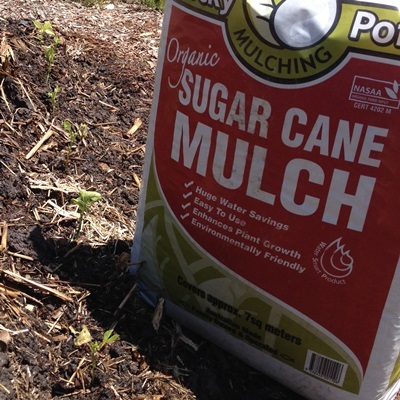 Use the mulch that is cheapest and most readily available for you. Some people use fallen leaves from the garden (leaf mould), compost, water weeds or bark chips and sawdust. When using chips and sawdust, always add aged manure or fertiliser under the mulch to counter the nitrogen used by bacteria as they break down the cellulose. 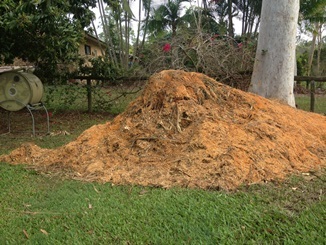 Cane trash (cane mulch) is readily available in QLD, in coarse bales and is cheap and effective. Compressed, finely shredded plastic-wrapped bales do the same job but are more expensive. Lucerne has the added advantage of having a high nitrogen level and is also good dug into the soil to incorporate the nitrogen for green leafy growth. However, in areas where summers are wet, lucerne can become smelly and fungal, so choose a summer alternative. Straw from chook pens adds fertility. Leave it sit a couple of weeks or compost it first to remove any chemicals from worming and to reduce the urea from chook droppings which can burn plants. Coconut fibre (coir peat) is also great for potted vegies. Buy a block, rehydrate it, then mulch. How deep should the mulch be? Top up mulch as needed to a depth of 2-5cm. 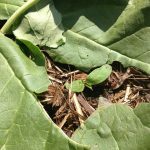 I’ve found over the years that mulch over newspaper really drastically reduces water infiltration into the soil, so I no longer use that method for weed suppression. I also found that really thick layers of mulch reduced rain penetration into the soil. So, go light and reapply often for the best results.